Profile: The Department of Informatics IfI at University of Zurich UZH, Switzerland, is part of the unit Economics, Business Administration, and Information Technology and establishes in Switzerland the leading Information Technology and Computer Science teaching and research affiliation. Within the Department of Informatics IfI a major effort has been taken to strengthen the communication systems’ focus of networking research within the IfI, forming the Communication Systems Group CSG in 2004. The research work at CSG has developed a large knowledge and experience base on network and service management, economic networking, and blockchains. The research group’s major focus is at this stage addressing blockchains, IoT, and economic management, ranging from broadband IP access services to application services. Furthermore, P2P and overlay network work had been undertaken in the recent past, which was complemented by security considerations. Wireless LAN Management and access control work has been performed for the tasks of accounting and auditing in distributed and heterogeneous systems. Finally, areas of charging IP services as well as packet-based communications show a long history of successful projects, results, and publications. A number demonstration awards had been received over the past years continuously, especially indicating that besides CSG’s publications on the scientific level an operational prototype and its evaluations are of central importance for the CSG. Expertise and Role in CONCORDIA: UZH will lead T4.3 and explore the proposed ecosystem’s economic dimensions. 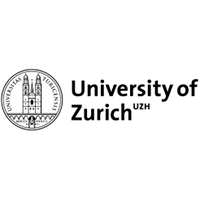 In particular for CONCORDIA UZH will provide input on blockchains, IoT, and economic management for network access services and application services.